Today, we will teach you how to leverage the power of cross-selling in the easiest way. Of course, you can spend hours of time configuring your Magento 2 store in order to get the desired result, but there is always a more user-friendly way to achieve the same goal. If you have a bright idea about your ecommerce storefront, chances are someone has already implemented it, so you only need to find the appropriate third-party Magento 2 module. And when it comes to cross-selling, the best way to leverage this marketing technique was proposed by the MageDelight Shop By Look Magento 2 extension. 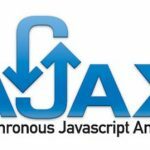 In the following post, we describe core features of the module as well as provide a tutorial related to its backend functionality and describe the frontend appearance. Purchase whole look/ purchase single item from look. 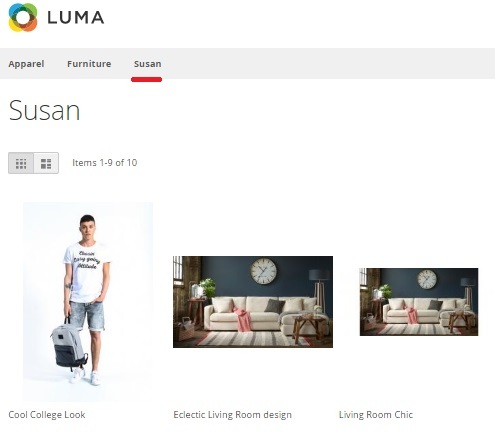 The most important feature of the MageDelight Shop By Look Magento 2 module is the ability to create looks, but it would never be so effective without a dedicated page that combines all looks together. 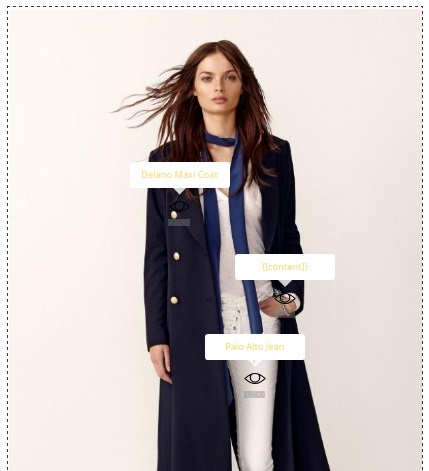 The extension allows to use a separate landing page where your store visitors can choose the desired look and easily purchase all items included into it. 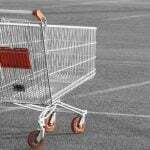 Thus, you increase sales by improving the default shopping experience. It is also necessary to mention that the MageDelight Shop By Look Magento 2 extension can be used for fashion, furniture, and jewelry stores. You are free to create any look to attract the attention of customers and motivate them to purchase several products simultaneously. And to increase user engagement, the module allows to offer a discount for the whole look. At the same time, each item can be purchased separately. Thus, customers get full freedom of action. And it is possible to share complete looks! 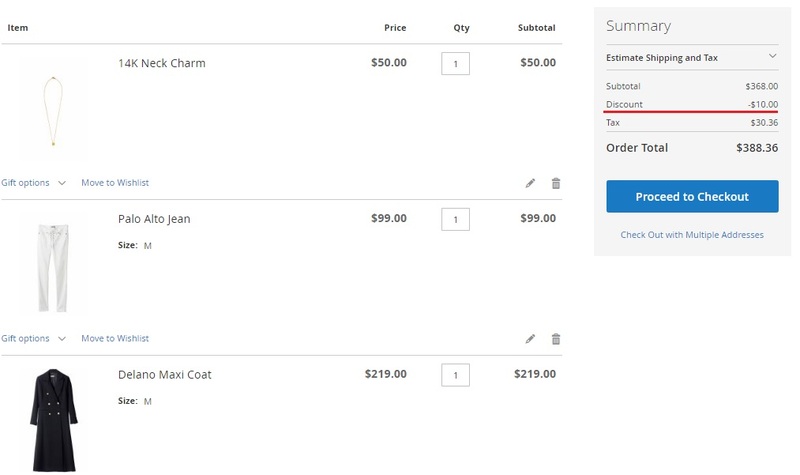 As you can see, the MageDelight Shop By Look Magento 2 module is designed to leverage cross-selling. Now, when you know core extension’s features, let’s proceed to the backend functionality of the tool. First of all, let’s go to Stores -> Settings -> Configuration -> Mage Delight -> Look N Buy. Here, you can see 7 tabs of settings: License Configuration, Look N Buy Page Configuration, Social Share Configuration, Facebook Configuration, Twitter Configuration, Pinit Configuration, and Marker and Tooltip Style. 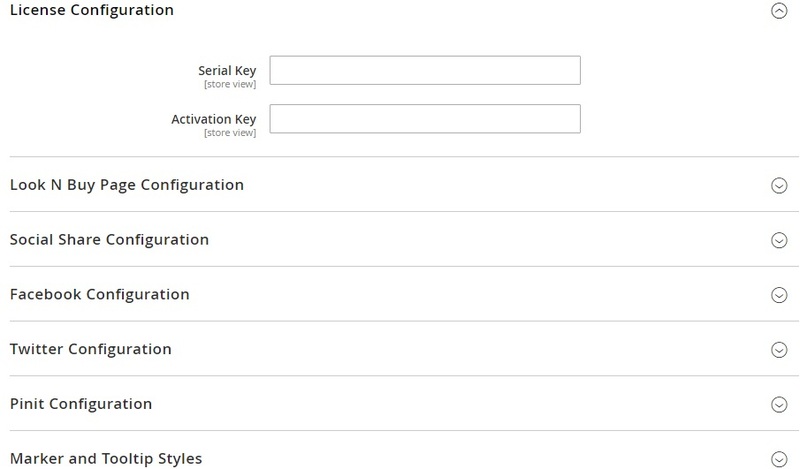 The first section requires two parameters to be specified: Serial Key and Activation Key. You get both after purchasing the extension. 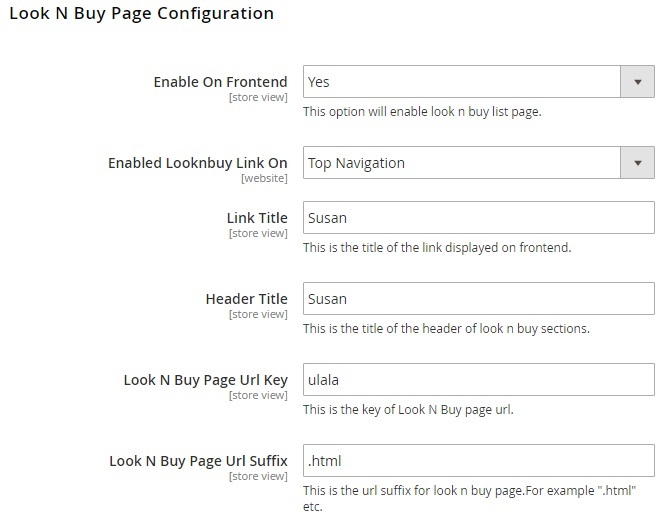 Now, let’s see how to configure the Look N Buy page – it’s a page where all custom looks are gathered. First of all, enable the page on frontend; set the appropriate option to “Yes”. 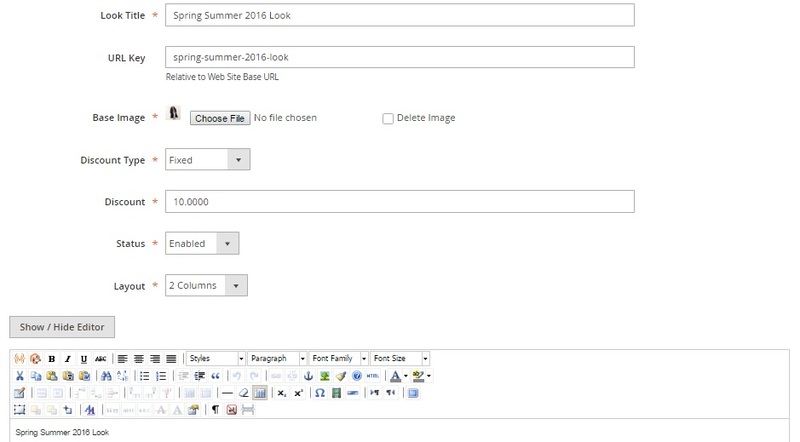 Next, choose where to enable the Look N Buy link: in top links or top navigation. Now, type link and header title and specify Look N Buy page URL key and suffix. Note that it is also possible to select one on the following layouts for the look page: Empty, 1 column, 2 columns with left bar, 2 columns with right bar, 3 columns. The last option here allows to specify a label for discount area of cart totals. In Social Share Configuration, enable/disable social sharing. Next, enable/disable the option for Facebook, Twitter, and Pinterest. 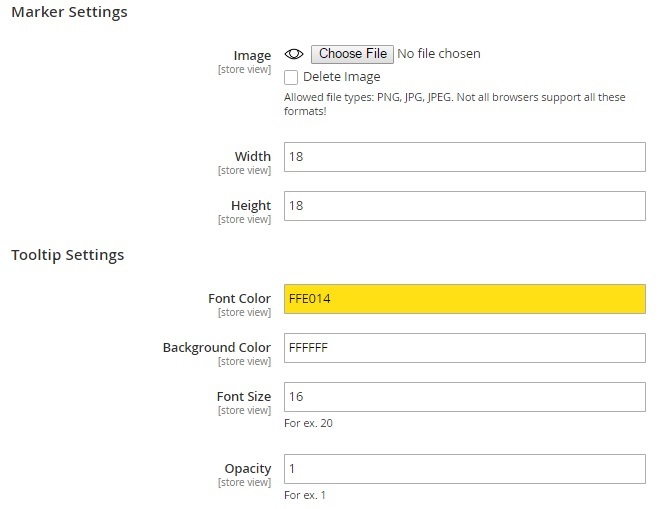 In Marker and Tooltip Styles, upload a marker image and specify its width and height. Next, choose colors, font size, and opacity for tooltips. Now, when the MageDelight Shop By Look Magento 2 extension is configured, let’s explore two more backend areas. 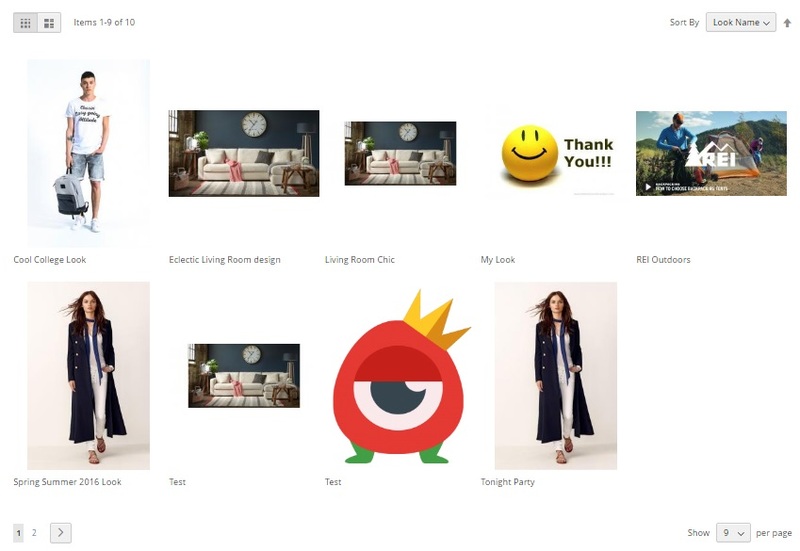 First of all, a grid with all looks that is available under Look N Buy -> Manage Looks. The grid displays look ID, image, title, discount (fixed or percentage), and status (enabled or disabled). You can edit or delete each look separately from the Action column. Besides, it is possible to apply mass actions. 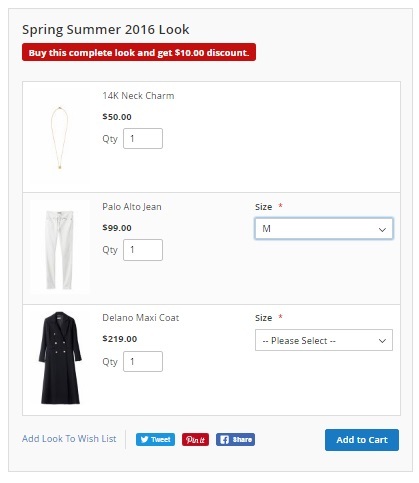 The MageDelight Shop By Look Magento 2 module allows to delete, disable, or enable looks in bulk. It is also necessary to mention that you can hide selected columns from the grid, save custom grid views, as well as apply filters to find certain looks. The Look Information page is divided into 4 tabs: General, Meta Data, Products, and Add Markers. Under the first tab, specify look title and URL key. Next, upload a base image. Now, you have to select a discount type (fixed or percentage) and specify discount amount. Select status (enabled or disabled) and layout. As for the last field, it allows to add the description of the look. In Meta Data, specify meta keywords and description. Under the Products tab, add products that should be a part of the look. As for the last tab, it allows to place markers on to of the uploaded look image. 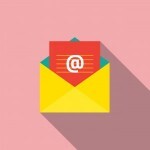 Now, you can create multiple looks streamlining the power of cross-selling. The MageDelight Shop By Look Magento 2 extension offers a really intuitive interface that allows everyone to combined products together in a form of a look. 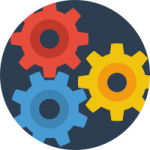 You don’t need any help from third-party developers to master the administrative interface of the module, since everything is on its place and looks quite self-explanatory. But what about the frontend appearance? The section with products informs that buy buying the complete look you will get a discount. Note that configurable products are supported, and all the necessary parameters can be selected right here. Besides, you can add look to wish list and share it on social networks.